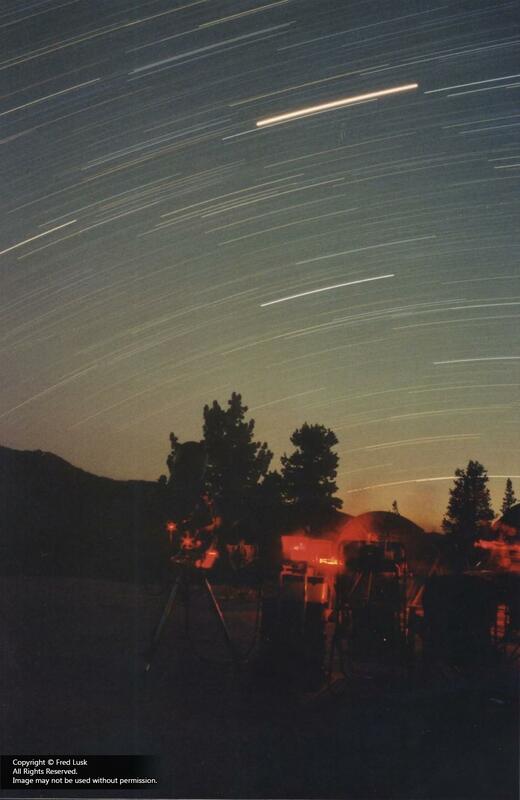 This star trail looks south, hence the arch shape of the trails. Compare this to the circular pattern centered on Polaris when the camera is pointed north as in the adjacent image. The brightest streak is the planet Mars. The red lights in the foreground are from the small red flashlights we use to preserve our night vision.